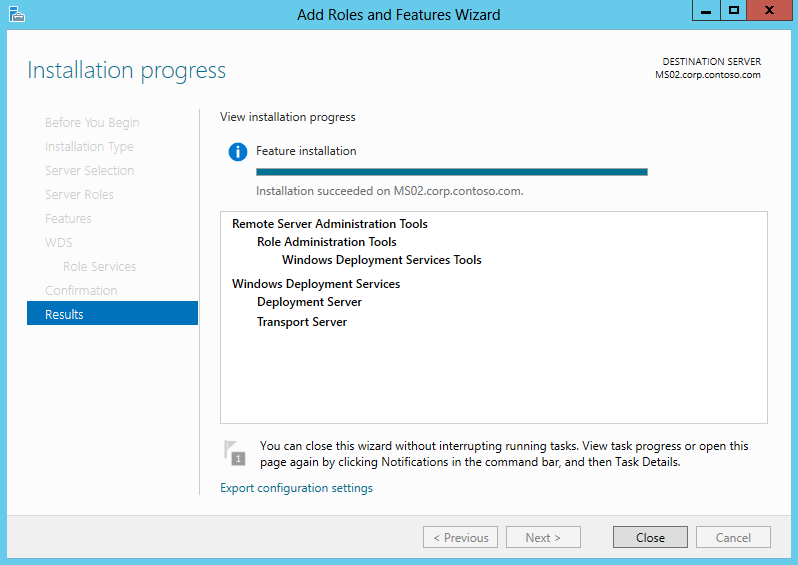 Windows Deployment Services is a role of Windows Server 2012 for deploying operating systems to a workstation by network. It supports the following operating systems for deployment. In Windows Server 2012, it supports to deploy Windows on ARM machines. The Active Directory, DNS and DHCP are functioning. All servers were joined to corp.contoso.com domain. The DHCP pool of this network is 192.168.2.100 - 192.168.2.200. 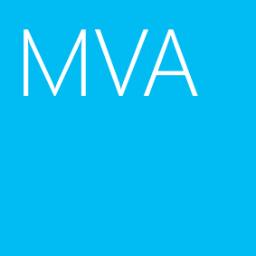 I will install and configure Windows Deployment Services in MS02. 3. On "Dashboard" window, click "Add roles and features". 5. 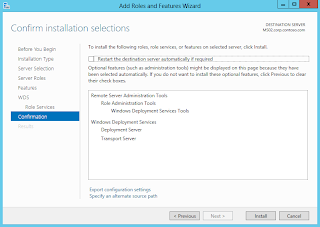 On "Installation Type" window, select "Roles-based or feature-based installation". 8. On "Server Roles" window, check "Windows Deployment Services". 11. On "WDS" window, click "Next". 12. 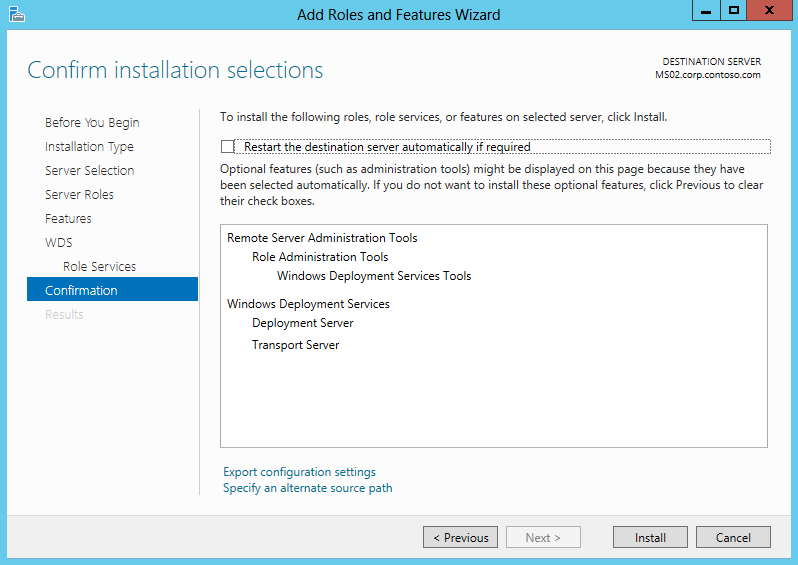 On "Roles Services" window, check "Deployment Server" and "Transport Server". 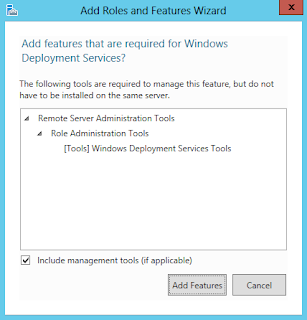 Normally, When you deploy WDS in your Active Directory environment, both roles services are required. However, If you just install "Transport Server" role service, you need to write a custom PXE provider, and register the provider with Windows Deployment Services because Transport Server only contains the PXE listener. 14. On "Confirmation" window, click "Install". 15. On "Results" window, click "Close". Remark: We can perform "Install-WindowsFeature -Name WDS -IncludeManagementTools" in PowerShell to install Windows Deployment Services.